Putnam County police officers had their jobs handled for them last week, when they received a surprising phone call from a concerned citizen. Douglas Kelly, 49, of Hawthorne, contacted the sheriffs’ department, inquiring if they could possibly test drugs he had purchased earlier. 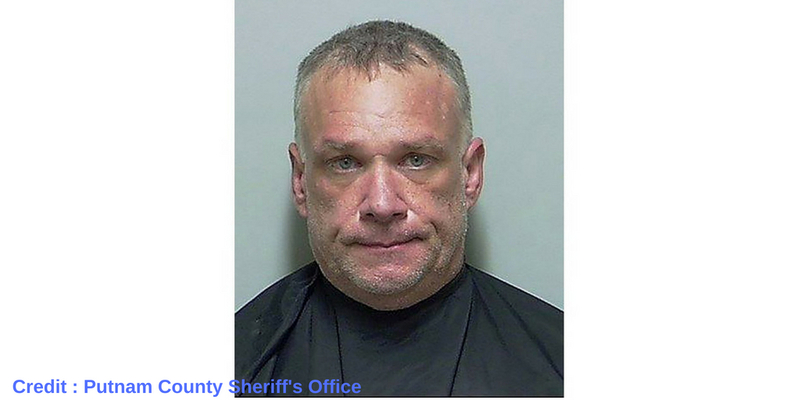 Florida man Kelly explained to officers that he had smoked what he believed to be meth but was experiencing a “bad reaction” to the drug and was worried he may have been sold something other than meth. Officers played ball, and invited him down to the station for a free narcotic test to verify his concerns. Bright eyed Kelly then drove himself to the police station and surrendered a bag with a clear crystalized substance wrapped in tinfoil to be tested for tainted additives. Should the drug test positive for something other than meth, Kelly was prepared to press charges against the person he bought the drugs from. To his shock, the drugs were in fact methamphetamine and subsequently he was arrested for illegal drug possession. Kelly is being held at the Putnam County jail on a $5,000 bond. The Sheriff’s continued on their Facebook post that they were happy to help the public and urged others to come by for their own illicit drug screening if they feel that their dealer has sold them the wrong drug. “Remember, our detectives are always ready to assist anyone who believes they were misled in their illegal drug purchase,” the sheriff’s office said.